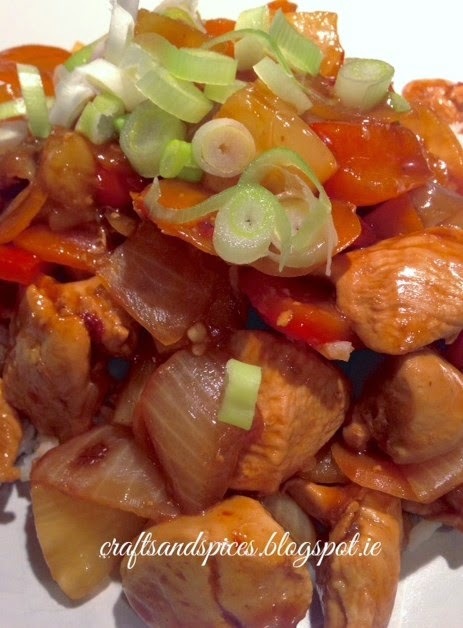 The recipe I will share with you today is sweet and sour chicken with boiled rice. 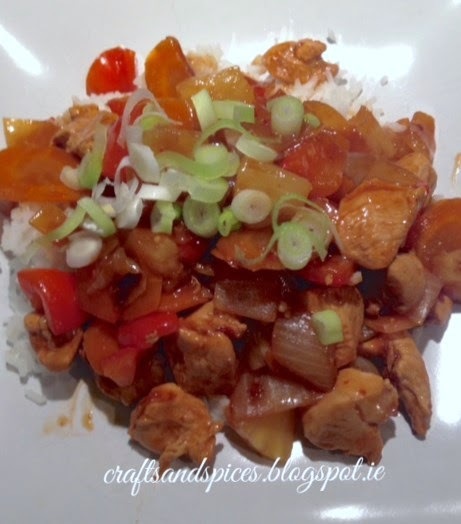 Quite easy to make and very tasty. Spray a pan or a wok with Frylight (cooking spray). Place the diced chicken breast and fry till brown. Remove and put on a plate. Spray some more cooking spray to the pan and add the garlic, onion, pepper, and carrots. Fry for about 5 minutes. Add the chicken to the vegetables and fry for a couple of minutes. In a separate bowl mix 2 tbsp of water with cornflour, wine vinegar, soy sauce, tomato puree and stock. Add it to the pan and cook it for a few minutes till the sauce thickens. Remove from the heat and add the pineapple. Serve with boiled rice or noodles and decorate with finely slices spring onion. My family loved this recipe. I added some hot chilly pepper to mine as I loooove spicy food! !